We build church landing pages that are mobile responsive and we do it fast. We’ll empower Your Communications Team to drive better campaign results. For many church online advertising campaigns, the objective is to get the viewer to take action such as registering for and event, request information, buy tickets, etc. One of the best attributes of digital advertising campaigns is they can be tracked very closely. When a viewer clicks through an advertisement, that click is tallied up in Facebook, Google (or any other ad serving platform). The number of clicks divided by the number of impressions is known as the the click through rate. Landing pages and conversion code can then be used to track what the viewer does after they click on the advertisement. 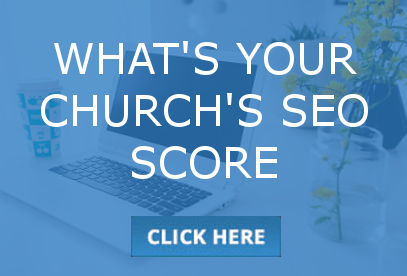 In this article we will discuss how landing pages and conversion code enable a Church Communications Team to track click-throughs all the way to “conversions”. 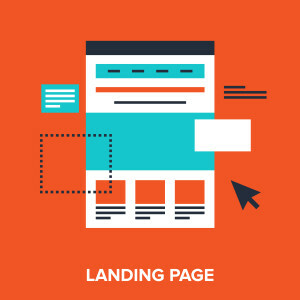 A landing page is a webpage that exists for one purpose; to get a web visitor to take a specific action. For campaigns that are attempting to get the visitor to reveal their contact information, register for something, or buy something such as event tickets, it is advisable to create at least one landing page per campaign. This page is often appended to your existing website domain, but it can also be hosted elsewhere. 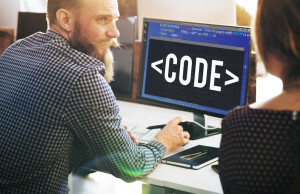 Facebook and Google have conversion code that can then be embedded into the landing page in order to report conversions back to Facebook and Google. 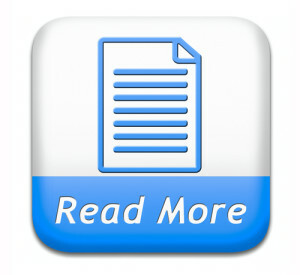 A conversion is an action taken by the visitor to the landing page, such as filling out a form to register for an event. The landing page tracks the conversion, and the conversion code is set to report back to Facebook and Google that a visitor has pressed the ‘submit’ button after completion of the form. It’s the conversion code that lets you measure the conversion rate. Conversion measurement enables you to follow the actions that visitors take take after they have viewed your Facebook or Google ads across various devices, including mobile phones, tablets and desktop computers. By utilizing this code and adding it to your landing pages where conversions happen, such as a checkout page or a registration form, you’ll see who converts as a result of your advertisement. This is because the code continues to monitor the actions people take after clicking on your ad. In the analytics you can see which device the visitor saw the ad on and which device they ultimately converted on. The objective of the online advertisement is to get the viewer to click on it. 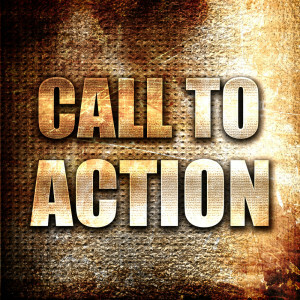 Therefore, it must grab the viewers attention and have a good call-to-action. Therefore in the design, less is more. The ad is usually not the best place for the details because you want them to click through to get more information. 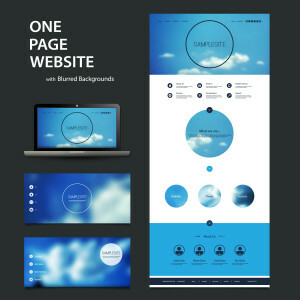 The objective of the landing page is to get the viewer to convert. It is vital that a landing page ask that the visitor do one thing and one thing only. Therefore, a well designed landing page does not provide multiple links. The intention is all about the visitor doing one thing; and that one thing is conversion. Two things is one thing too many. Therefore it is unwise to put conversion content into the content of the online advertisement. Instead the ad should focus on the sole goal of getting the viewer to click through to a landing page that then seeks the conversion. Make the headline of the online church advertisement match the headline of the landing page and then make the headline of the church landing page match the headline of the form page. Also use the same colors, fonts and images throughout. This is the proven way to propel a visitor all the way through the process. The online ad should offer just one thing. The landing page should offer just one thing.The form should offer just one thing. 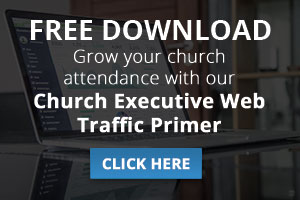 For this reason, landing pages usually omit most links to other areas of the church’s website and have one link that leads to the conversion and are usually just one page. Where Do Branding Campaigns Fit? There are definitely campaigns where conversions don’t matter. For example, churches often run campaigns that have the objective of getting the word out about their Easter and Christmas services. It is also common for them to want to promote a sermon series. In these kind of campaigns it would be unwise for their campaign to pursue conversions because new seekers usually want to be incognito when they first check out a church. This is because they may be nervous about exploring their early steps of faith. 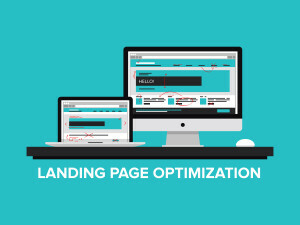 Another advantage of utilizing landing pages is that retargeting code can be placed on the landing page and that enables the church to show online banner ads to those visitors who made it as far as the landing page, but not perform the call to action. If you want to know more about retargeting, you can read this article that we published recently. A Great Landing Page Experience on Any Device. People are always on the go, so your church landing pages need to look stunning and adjust seamlessly on mobile devices. Our Mobile Responsive feature ensures that you’ve got a mobile-specific landing page for every campaign. No more missed connections. Custom Domains. With custom domains we can you publish your church landing pages on your own domain and it is in compliance with Google AdWords policy. Notification Email. 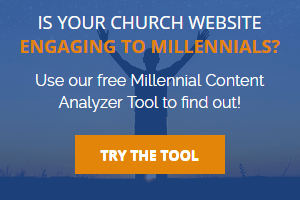 You can choose to be alerted each time a church landing page visitor submits their contact information on your landing page. We can also provide reports of everyone who fills out your form. A / B Testing. Run simple, yet powerful A/B tests to determine whether your page’s messaging resonates with your church’s audience. Each test will help you find out what your audience responds to, and will help optimize your conversion rates for a more effective communication spend. Real Time Stats. We track real-time data on how your pages are converting. You’ll see how well your pages and A / B tests are performing. Need more detail than just views, conversions and conversion rates? We can also add your Google Analytics tracking. Text Replacement. This feature can dramatically improve the relevance of your page. 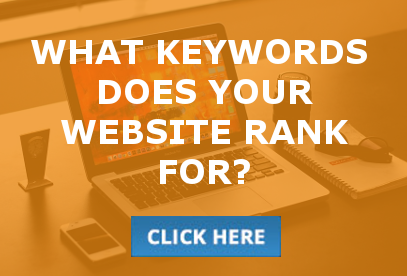 This is especially useful for churches that are running pay-per-click ads, Dynamic Text Replacement automatically swaps out selected keywords on your landing pages to match up with the keywords your prospects are using in their Google search queries. This means from search, to ad, to landing page your copy is consistently relevant, no matter what the user searches for. Automatic SSL Encryption. To assure visitors your data is coming from a secure source, we automatically create an SSL certificate for your landing pages. This encrypted link between server and browser eliminates mixed content warnings, and increases conversions by allowing seamless navigation between pages. We will create a church landing page for $300 to $500. Depending on the complexity of the page it could cost more. For example video components can add to the price. We always create a a minimum of two variants in order to point the way toward success. It is important for the church to keep pace with the evolution of digital. We are always happy to provide complimentary consultations with church communications, development, and marketing staffers about digital ways to grow the church. Just let us know how we can help. United Methodist Church Communications wrote an article about this that you can read here.